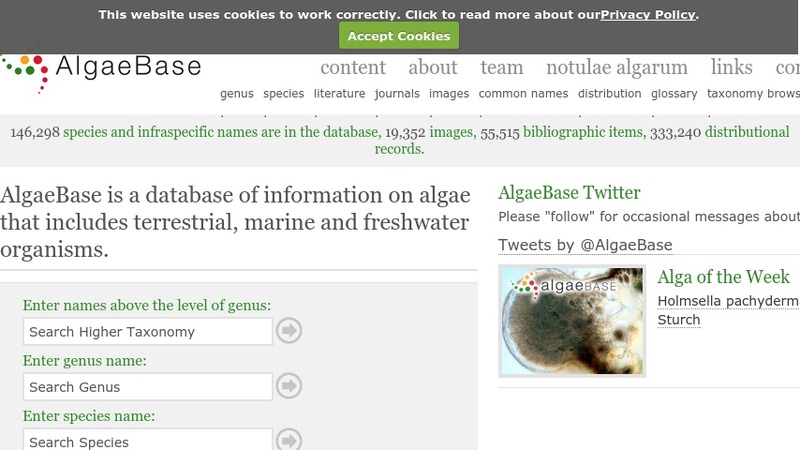 AlgaeBase is a comprehensive taxonomic database of information on algae that includes terrestrial, marine and freshwater organisms. Users may consult this resource to check taxonomies or nomenclature, obtain information pertaining to geographic distributions, and view or download images. The database can be browsed by taxon or searched by literature, genus, species, images, common names, distribution, and glossary.